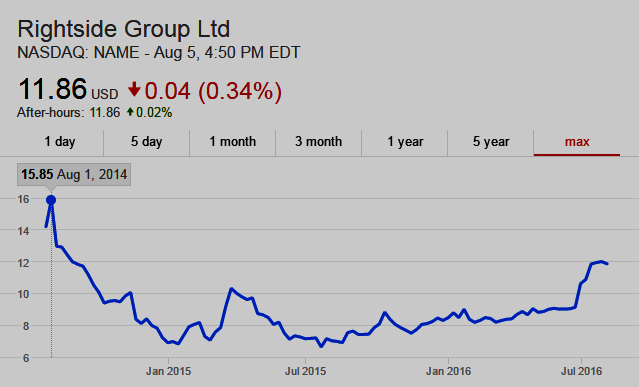 Q2 2016 Revenue of $54.03M (+3.6% Y/Y) misses consensus estimate by $1.43M. Registrar services revenue increased to $44.2 million compared to $43.3 million. Registry services revenue increased 52% to $2.9 million compared to $1.9 million. Aftermarket and other revenue increased to $7.8 million compared to $7.5 million. Total revenue increased to $54.0 million compared to $52.2 million. 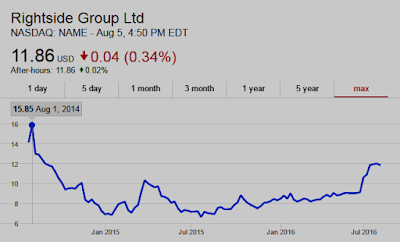 Net loss Q2 2016 was $2.5 million, compared to $5.7 million in Q2 2015. Adjusted EBITDA increased to $2.3 million, compared to $779,000. 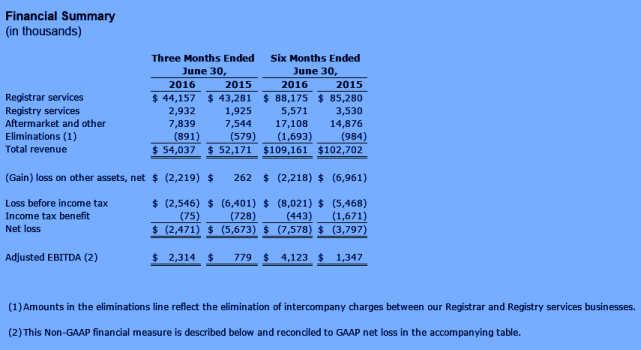 Gain on other assets, net was $2.2 million representing the gain on withdrawals of its interest in gTLD applications and the sale of its non-core registrar credentials. 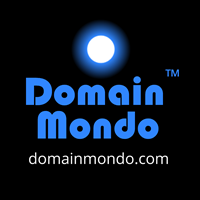 The company, with its affiliates, is a leading provider of domain name services, offering one of the industry's most comprehensive platforms for the discovery, registration, usage, and monetization of domain names. 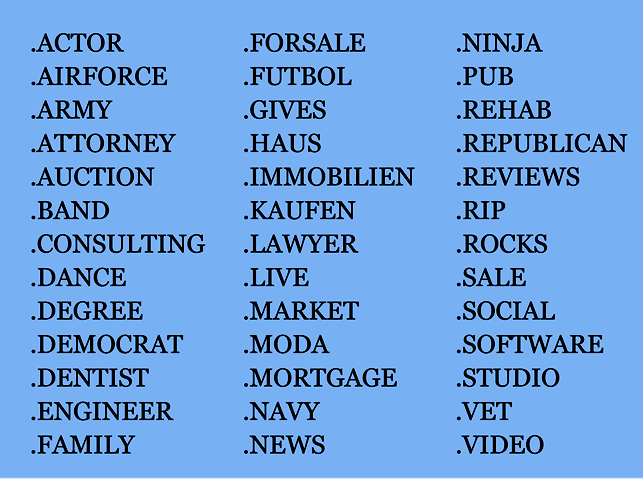 In addition to being a new gTLD registry operator, Rightside is home to some of the most admired brands in the industry, including Enom and Name.com. Headquartered in Kirkland, WA, Rightside has offices in North America, Europe, and Australia (source: Rightside.co). Rightside $NAME presentation at the Canaccord Genuity Growth Conference on August 10, 2016: Taryn Naidu, CEO, and Chief Financial Officer, Tracy Knox, are scheduled to present at the Canaccord Genuity Growth Conference, at the InterContinental Boston in Boston, Massachusetts. Rightside's presentation is scheduled for Wednesday, August 10, 2016 at 8:30 a.m. Eastern time (5:30 a.m. Pacific time). The presentation will be available through a live audio webcast accessible from the Investors section of Rightside's website at http://www.rightside.market. An archived replay of the webcast will also be available for 90 days following the live presentation. Rightside has 544,266 domain names registered in its 39 launched new gTLDs according to Rightside Registry | Registry Breakdown | ntldstats.com, which makes it the 11th largest new gTLD registry operator with 2.35% market share. 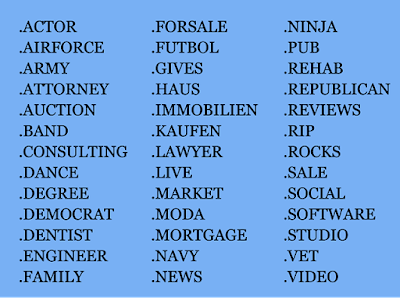 News Review [10Jul]: ...$NAME: "the company announced it had rejected the unsolicited proposal from Donuts Inc. to acquire Rightside's entire registry of generic top-level domains (gTLDs) and related assets for $70 million in an all-cash deal."